The purpose of this review is to summarize recent developments in PET imaging of neuropathologies underlying HIV-associated neurocognitive dysfunction (HAND). We concentrate on the recent post antiretroviral era (ART), highlighting clinical and preclinical brain PET imaging studies. In the post ART era, PET imaging has been used to better understand perturbations of glucose metabolism, neuroinflammation, the function of neurotransmitter systems, and amyloid/tau protein deposition in the brains of HIV-infected patients and HIV animal models. Preclinical and translational findings from those studies shed a new light on the complex pathophysiology underlying HAND. The molecular imaging capabilities of PET in neuro-HIV are great complements for structural imaging modalities. Recent and future PET imaging studies can improve our understanding of neuro-HIV and provide biomarkers of disease progress that could be used as surrogate endpoints in the evaluation of the effectiveness of potential neuroprotective therapies. All reported studies with human subjects performed by the authors have been previously published and complied with all applicable ethical standards. All reported studies with animal subjects performed by the authors were approved by the Institutional Animal Care and Use Committee of the National Institutes of Health and were performed in accordance with the guide for the Care and Use of Laboratory Animals. Hammoud DA, Sinharay S, Steinbach S, Wakim PG, Geannopolous K, Traino K, et al. Global and regional brain hypometabolism on FDG-PET in treated HIV-infected individuals. Neurology. 2018;91(17):e1591-e601. https://doi.org/10.1212/wnl.0000000000006398. Hsu DC, Sunyakumthorn P, Wegner M, Schuetz A, Silsorn D, Estes JD, et al. Central nervous system inflammation and infection during early, nonaccelerated simian-human immunodeficiency virus infection in rhesus macaques. J Virol. 2018;92(11). https://doi.org/10.1128/jvi.00222-18. Cooley SA, Strain JF, Beaumont H, Boerwinkle AH, Doyle J, Morris JC et al. 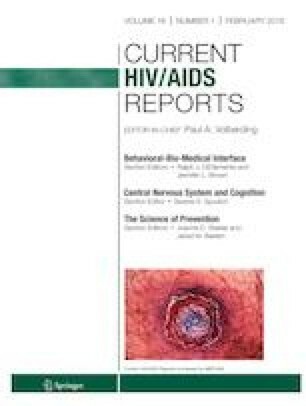 Tau positron emission tomography binding is not elevated in HIV-Infected individuals. J Infect Dis. 2018. https://doi.org/10.1093/infdis/jiy663.